We already paid for it once! There are many organization and individuals which need to be made aware of the economic and social consequences that tolling will exact on a population dependent on I-90 for commuting, commerce, shopping and cultural exchange. This tolling wall will affect the entire state, from the Port of Seattle to agricultural centers in Yakima, Spokane and all of Eastern Washington. Click this icon to go to a site where you can learn who your Washington State Representatives are. Some local and state elected officials are also listed below. You can also call the number below to contact the Senate or House legislator fom your district: 1-800-562-6000. Click this icon for a listing of Washington State's U.S. 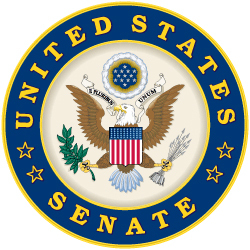 Senators and links to their sites. Click this icon for a listing of members of the U.S. House of Representatives for Washington State and links to their sites.